A science of the individual encounters the unparalleled challenges of exploring the unique phenomena of the psyche and their workings. This article applies the Transdisciplinary Philosophy–of–Science Paradigm for Research on Individuals (TPS–Paradigm) to specify these challenges. Considering three metatheoretical properties—1) location in relation to the individual’s body, 2) temporal extension and 3) physicality versus “non–physicality”—that can be conceived for various kinds of phenomena explored in individuals (e.g. behaviours, experiencings, semiotic representations), the TPS–Paradigm scrutinises these phenomena’s perceptibility by individuals. 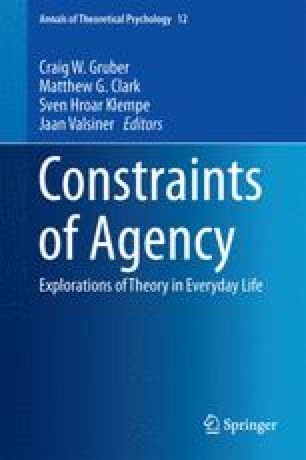 From this metatheoretical perspective, the article traces developmental pathways in which psychical phenomena enable individuals to increasingly become actors—as single individuals, communities and species. The explorations first follow microgenetic and ontogenetic pathways in the development of perceptual and psychical representations of the physical phenomena encountered in life. Then the article explores how individually developed psychical properties, which are perceptible only by the individual him- or herself, can be communicated to other individuals and how individuals can develop psychical representations that are socially shared, thus enabling social coordination and the transmission of knowledge to subsequent generations. Many species have evolved abilities for co–constructing psychical representations reactively and based on occasions (e.g. observational learning). The evolution of abilities for co–constructing psychical representations also actively and based on intentions (e.g. instructed learning) entailed the development of semiotic representations through the creation of behavioural and material signs (e.g. language), allowing humans to communicate systematically about psychical abilities despite their imperceptibility by other individuals. This has opened up new pathways through which inventions can be propagated and continuously refined, thus producing cultural evolution. These processes enable humans to develop ever more complex psychical abilities and to become actors in the evolution of life. The author acknowledges funding from the Deutsche Forschungsgemeinschaft DFG (UH249/1-1). Aristotle (350 BCE). Metaphysics. Book IV. Translated by W. D. Ross. Provided by the internet classics archive. http://classics.mit.edu//Aristotle/metaphysics.html. Accessed 24 March 2014. Le Poidevin, R. (2011). The experience and perception of time. The Stanford Encyclopedia of Philosophy (Fall 2011 Edition), Edward N. Zalta (Ed.). http://plato.stanford.edu/archives/fall2011/entries/time-experience/. Accessed 13 Jan 2013. Locke, J. (1689). Essay concerning human understanding. Book I. The Project Gutenberg EBook #10615. http://www.gutenberg.org. Accessed 8 Sept 2013. Wundt, W. (1896). Grundriss der Psychologie. Stuttgart: Körner. Online at https://archive.org/. Accessed 26 Jul 2014.